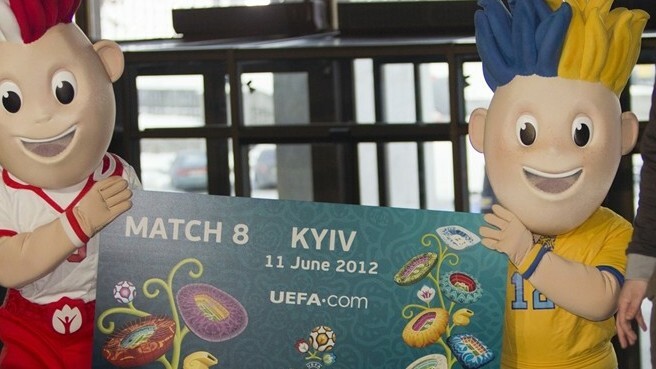 UEFA has launched the official UEFA EURO 2012 ticket resale platform, to allow customers who cannot use final tournament tickets they won in the lottery to resell them at face value. UEFA has launched the official UEFA EURO 2012 final tournament ticket resale platform, to allow customers who cannot use tickets they won in the lottery to resell them at face value. The application period for final tournament tickets ran from 1 to 31 March, with a record 12,149,425 ticket requests made by fans from some 206 countries worldwide. Tickets were assigned at random via lottery but those who missed out can use the resale platform to claim any ticket that cannot now be used at face value on a first-come, first-served basis. 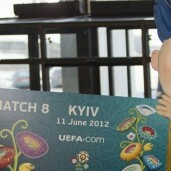 It is the only authorised place for UEFA EURO 2012 tickets to be sold. Fans should not be tempted to buy tickets from other sources – often at inflated prices – as either the tickets simply do not exist in most cases else they will be cancelled by UEFA for a breach of the ticketing terms and conditions. Tickets cannot be exchanged on the resale platform. The buyer and seller will not be in direct contact as UEFA will act as the intermediary via the ticketing platform, which operates until 1 March 2012. 1 Login to the ticket portal, either using your existing account from the first round of applications or – if you are a new user – create an account. 2 Mark tickets you wish to sell so they appear in the Buy Tickets section, where buyers can then purchase them. 3 If there is no option shown to buy tickets, it means that there are currently no offers being made. Applicants are invited to try again later. * Please note that you must have a credit card, both for selling or buying tickets, as immediate feedback on the success of payment is required. Customers who initially paid for tickets via bank transfer can still sell tickets, but they must provide credit card details to do so. In addition to the ticket resale platform, supporters of participating teams can apply for tickets reserved for them via UEFA.com once the final draw has taken place in December 2011 and the match schedule is confirmed. Further details concerning sales to fans of the qualified associations will be available in autumn 2011. Do they have to be sold via the portal, can they be sold on eBay for example? I unfortunately may not be able to use all the tickets I have now?